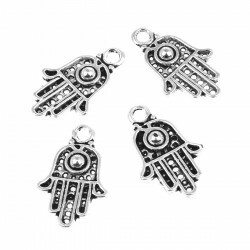 Charm with the shape of Fatima's Hand (Hamsa). 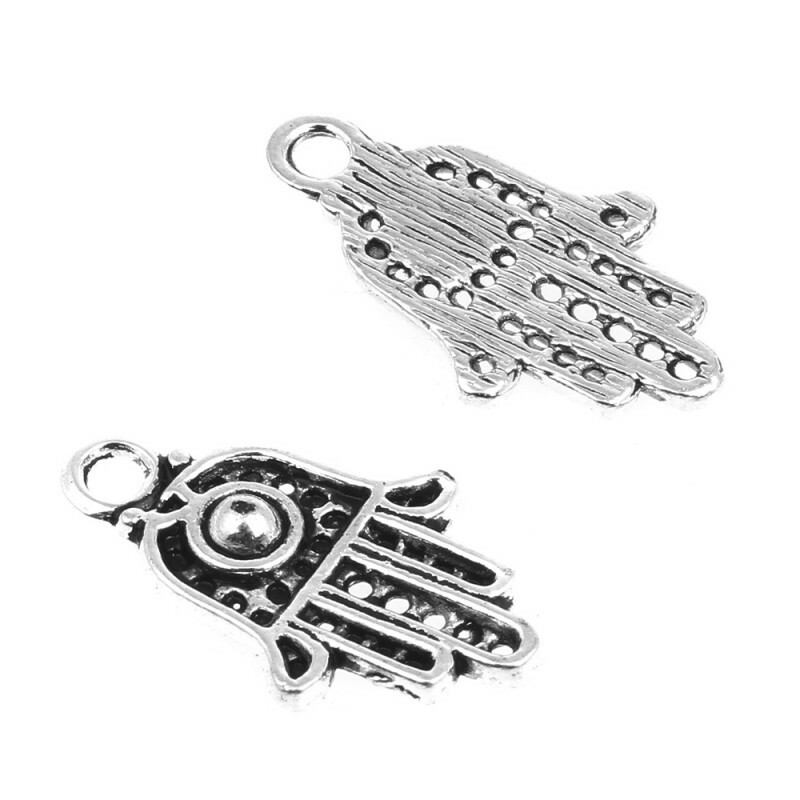 This is a pendant, ideal for mounting jewelry, shaped as the Fatima's Hand. It is carved by one side and made of an antique silver color zinc alloy. This charm measures 12 mm x 21 mm x 2 mm and has a hole for hanging it of 2 mm diameter. Popularly, the Fatima's Hand, also known as Hamsa, protects against all evil and brings good luck. Buying a unit, you will receive a bag of 20 grams which contains about 26 pieces.